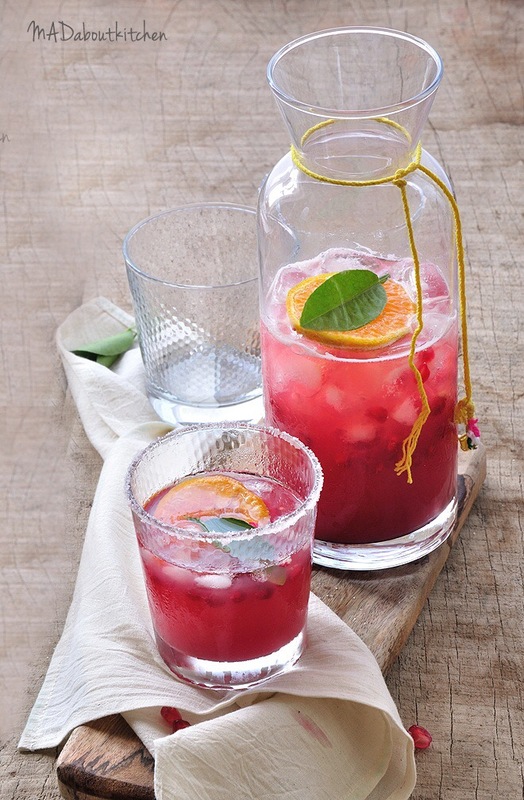 In a juicer or blender add pomegranate seeds, orange juice and honey and 1 cup icecubes and churn for a couple of minutes. Strain it into the serving jug. Crush the lemon leaves between your palms to release the oil and add it to the jug. 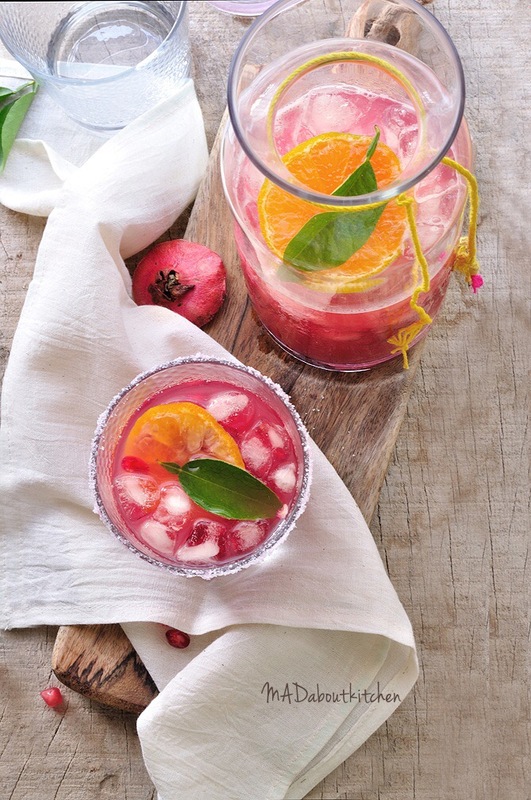 Add few pomegranate seeds, orange slices and leave it in the refrigerator to chill. To serve, rub the edges of the glass with a lemon wedge. Spread some salt on to a plate and place the glass upside down on the salt, coat the edges well with salt. 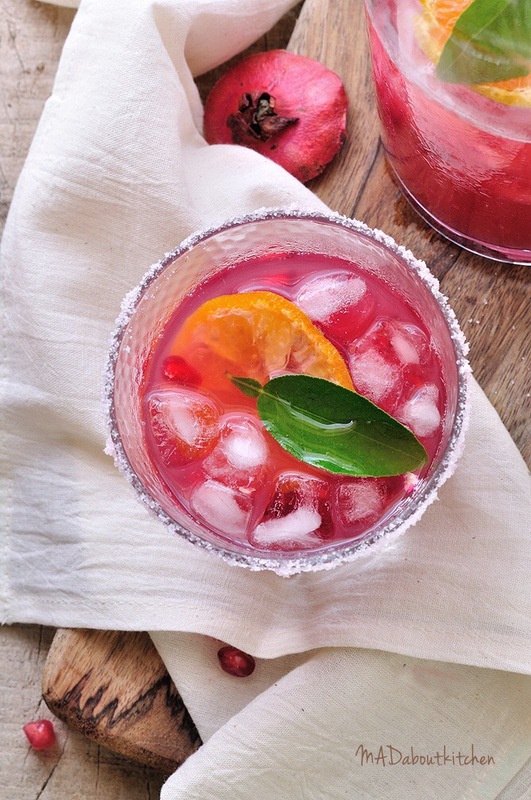 Layer the bottom of the glass with pomegranate seeds, ice and the drink over . Add aslice of Orange and a lemon leaf and serve. * The salt on the glass is your choice. 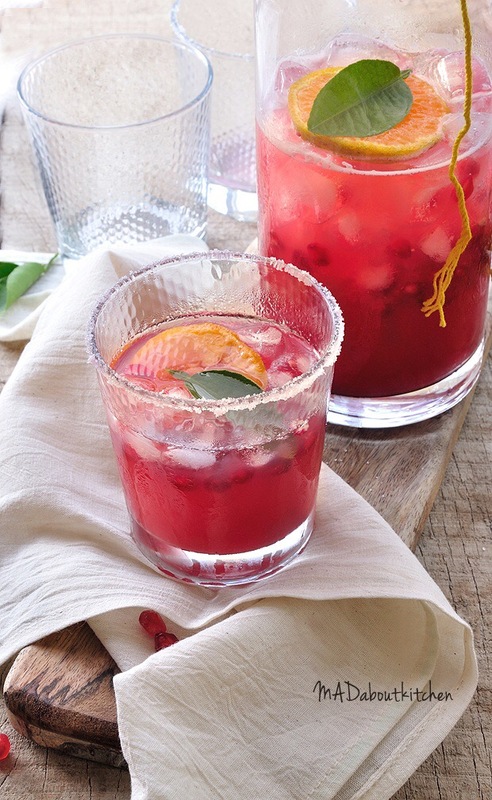 The salt brings enhances the sweetness of the drink, making it more complex. Squeeze the orange with hands or using a squeezer. Do not put in a blender as it will turn the juice bitter.